It is always fun to predict the future, so we are going to take a look at the top 7 rookies that you will want to keep an eye on in 2018, along with my 2018 Rookie of the Year predictions. 2017 was a great season that was packed with young talent. As a matter of fact, two of the greatest rookie seasons in Major League history came during the 2017 season. Dodgers’ first baseman Cody Bellinger hit a National League Rookie Record 39 home runs in 2017 en route to winning the NL Rookie of the Year Award, while Yankees’ right fielder Aaron Judge broke the All-Time Rookie Home Run Record with an astonishing 52 home runs and won the 2017 AL Rookie of the Year Award. In every MLB season, there is a boatload of rookies. Some blow our expectations completely out of the water (like Judge and Bellinger), while some just fade away leaving nothing behind but sub-par stats. So without further suspense, let us dive into the top 7 up and coming rookies you are going to want to keep an eye on in 2018. 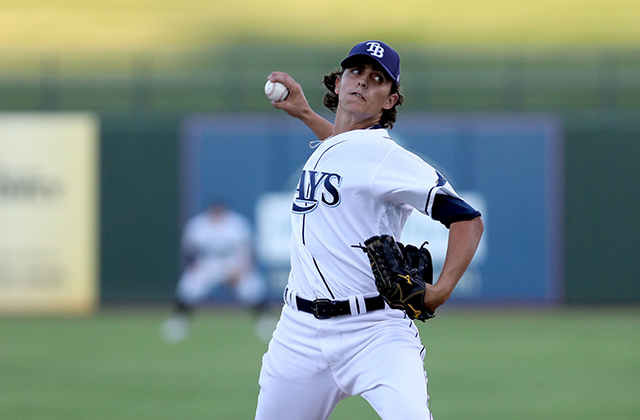 Brent Honeywell is a master of a somewhat rare pitch, also known as the screwball. Honeywell is a strikeout artist with excellent control and a well above average pitching arsenal. In 136 2/3 innings of Minor League ball, Honeywell struck out 172 batters while (mostly) pitching in Triple-A Durham. It will be very interesting to see how Major Leaguers fare against the unique 22-year-old Brent Honeywell in 2018. Walker Buehler, at the time of writing, is the LA Dodgers’ #1 Prospect according to MLB.com Prospect Watch, and for a very good reason. Buehler is a 6’2, 23-year-old right-handed pitcher with a fantastic pitching arsenal that consists of a 90+ MPH fastball, with deadly off-speed stuff to boot. While he has had elbow issues in the past, when he is healthy, Walker has the ability to pitch at the Major League level, and it is likely that you will be seeing him in the Dodgers’ stacked pitching staff by late June. Gleyber Torres won the AFL (Arizona Fall League) MVP in 2016 after putting up a 1.158 OPS with a .403 batting average. At the time of writing, Torres is ranked #2 overall on MLB.com’s 2017 Prospect Watch and is eying an infield job for the Yankees. Torres was promoted to Triple-A Scranton after just 32 games in Double-A and was doing very well in 2017 with a .309/.406./.457 slash line in 23 games before he lost the rest of his season to injury. Torres’ recovery is going well and he will be ready to play ball in 2018. 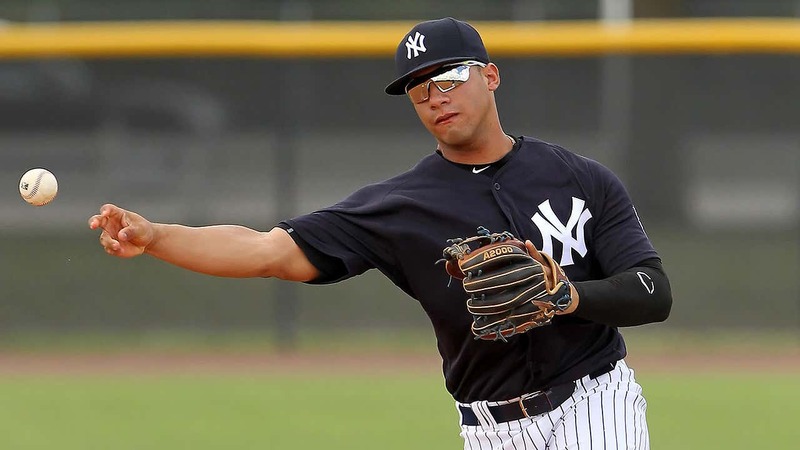 The Yankees are almost guaranteed to bring up the 21-year-old Torres, who is an above average power hitter and fielder, with an outstanding arm and great bat to ball ability. Willie Calhoun came to the Texas Rangers as a result of the Yu Darvish trade and will be eying a job in the Rangers’ outfield in 2018. Calhoun hit 27 home runs in the Texas League in 2016 and had the second lowest strikeout rate in the league (one per every 8.6 plate appearance). Calhoun is projected to hit north of .285 with over 20 home runs per season at the Major League level, which is especially good production for a second baseman. 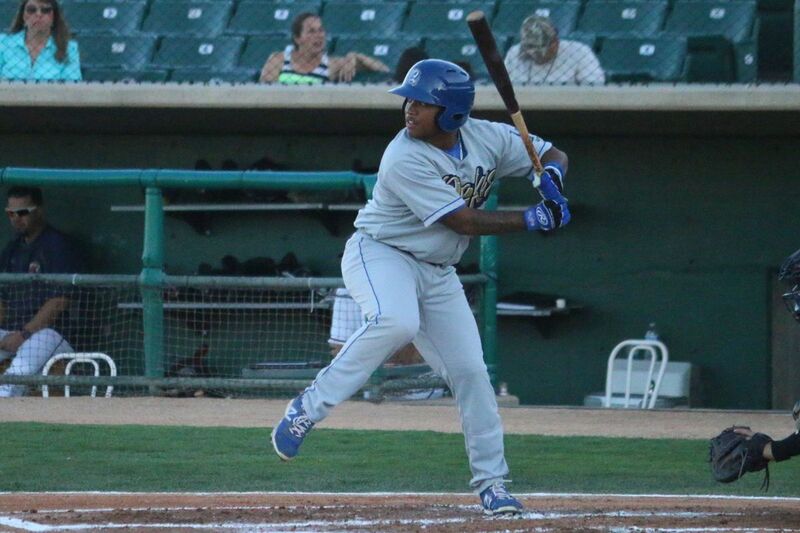 It is likely that we will see the left-handed hitting 23-year-old Willie Calhoun in the bigs very soon. Michael Kopech has one of the best arms in the minor leagues right now with an average pitch velocity of 96-98 MPH and has topped out at a staggering 105 MPH. The sky is the limit for the 21-year-old Kopech who is likely going to see an increase in velocity as he matures. Kopech has been a strikeout machine in the Chicago White Sox Minor League system and amassed 172 strikeouts in 134 1/3 innings. 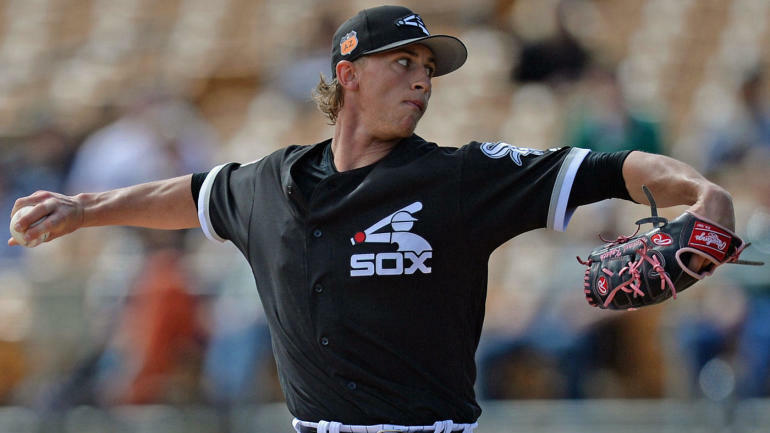 While Kopech has only made three Triple-A starts, he will not be stuck in the minor leagues for long, and expect him to make a big splash in the 2018 season. Ronald Acuna has the chance to be the next 5-Tool player in the Major Leagues and will be expecting a call-up in 2018. The 20-year-old phenom is a stud outfielder with a cannon for an arm, along with great hitting ability and a great deal of raw power. All of these attributes are likely to progress as he matures as a ballplayer. In 2017, Acuna hit .325 with 21 home runs, with 44 stolen bases in 139 games (mainly in Double and Triple-A). Acuna also amassed a .896 OPS and a slugging percentage of .522. Shohei Ohtani is the obvious pick for the #1 Rookie in 2018 to keep an eye on and it is not even close. The Japanese Babe Ruth is attempting to do something in 2018 that has not been done in a long time, be a pitcher and a hitter at the same time. Ohtani will be pitching every fifth day for the Angels and DHing in between starts. 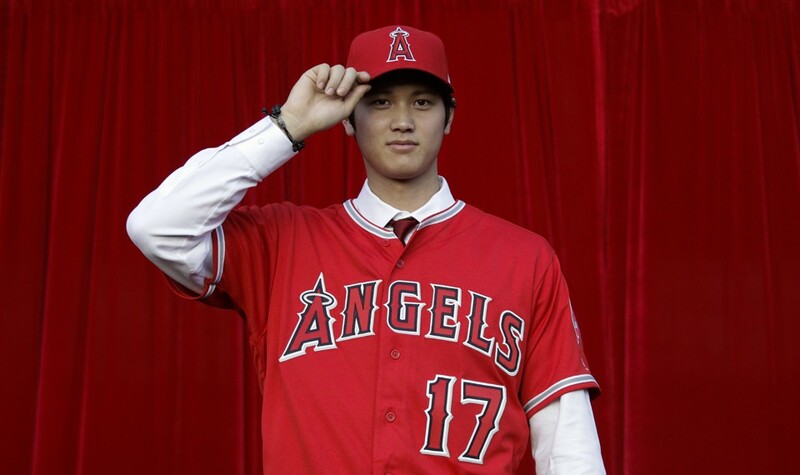 Ohtani was easily the most sought-after player going into this offseason, and it will be fascinating to see how he performs at the highest level. Ohtani battled injury in 2017, but his stats in the year prior are phenomenal. In 2016, Ohtani turned some heads hitting a full line of .322/.416/.588, with 18 doubles, 22 homers, 67 RBI, 65 runs, along with 7 stolen bases in 382 plate appearances. His pitching was equally impressive. Shohei had a win-loss record of 10-4, with a 1.86 ERA, 0.96 WHIP, 174 strikeouts, 45 walks, with 4 complete games and 1 shutout in 140 innings. While anything can happen and it is possible that these players may not perform at the level that we think they will, or don’t make the bigs at all in 2018, 2018 will be a very exciting season in baseball. Who knows, the MLB’s 2018 rookie class may be even better than it was in 2017. Κeep оn writing, greatt job!